Why aren’t there more products with positive images and messages promoted to children of color? Many parents never stop to wonder why it is so hard to find unique and inspirational products for their children. Some feel that there is nothing available that purposely builds up positive self esteem and value. The founders and members of Black Parent Connect know that this is not true. They knew from their own research that there were numerous products especially created for children of color by parents who care about their self esteem and self image. They decided to organize their research and network with like-minded business owners and parents. 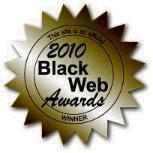 This became the launch of www.BlackParentConnect.com. Now you can be in on the secret too! Because It is is too costly for most start-ups to advertise in the traditional sense and the major chains are very slow to mass distribute a new product. So to overcome these barriers, the founders decided to use the internet and viral marketing to test the marketplace for positive and inspirational products for black children. It was an immediate hit! With a free membership structure, Black Parent Connect boasts unique shops, affordable products and over 1,000 parent members. The ultimate goal for Black Parent Connect is to continually stir up interest in identifying and supporting businesses that do what few other businesses seem committed to doing…providing new business ideas that help black children succeed in life! These are our FUTURE DREAMERS, LEADERS AND ACHIEVERS! If you are a parent or a business owner seeking additional information, please visit. auditory, visual and virtual exposure to a very difficult to isolate population using mainstream media. For example HBCU kidz, Inc. has over 10 distinct websites with email capture mechanisms that promote FAMILY CULTURE, EDUCATION AND/OR HBCUs to modern extended families. We develop an intimate and trusting relationship with our clientele by utilizing various SOCIAL MEDIA! WHY IS BLACK PARENT CONNECT A UNIQUE VILLAGE? The parent company HBCU kidz, Inc. is 100% supportive of children of color to succeed in life. 1) Daily Facebook Engagement on relevant and current topics! 2) Press release/product announcement placed on one or more of our LIKE pages on FB, tweeted and archived. This site has grown to be a trusted source for private and government staff. The concept of this website and building this community village began in 2007. It was inspired by a few life impacting events surrounding a major studio. A press release announced that the studio was about to embark upon a movie that showed strong potential to hurt the self esteem of the founding couple's young African American girls who were age 4 and 5 yeas old (formative years). The mother of these two beautiful daughters immediately and proactively went to work with a small but energetic diverse team to change aspects of the movie before significant amounts of money had been invested by the studio. This diverse team was comprised of a Jewish grandmother, a Filipino mom and a French Canadian mom. They focused upon making contact with the board room by way of a corporate blog site. Their 72 hour grassrooted campaign was successful and BLACK PARENT CONNECT was born! Joan Gosier networks with like minds to reach corporate decision makers to RETHINK plans of launching. Why For is Disney already doing damage control on "The Princess and the Frog" ? the Invisible Black Family on HBCU kidz, Inc. Founder's Blog based upon the difficulty of finding families who shared her passion in protecting her offspring.